Your First Matched Bet - Exchange Trading, Sports Tips And Crypto. Placing Your First Matched Bet – A Beginners Guide. Note: This video is now very out of date in that Blue Square no longer exists and the arb finder used in the video has been replaced by Oddmatcher. However the video does show the basics of placing a matched bet and has therefore been kept as it may be useful. Pyro has very kindly made this video for the benefit of those who have never done matched betting and would like to start. It is his first video, and as he admits, contains a couple of mistakes, but it is probably more valuable for that. In this video Pyro takes you through the whole process of selecting a bookie, signing up, finding and placing a qualifying bet and placing the SNR free bet on a suitable selection. 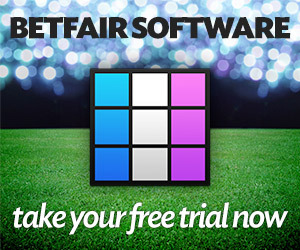 He’s chosen Blue Square, which has a nice, easy small signup offer and therefore does not require too large a float in Betfair. He also (unintentionally) illustrates the importance of checking and double checking that the odds have not changed, both at the bookie and at Betfair, showing how easy it is to make a mistake. Luckily his first bet lost. A couple of comments – you really must check Betfair before you place the bet at the bookmaker. Sometimes you can find that the odds have moved and you would be better to look for a closer match, or that there is not enough money available to match your full lay stake. Also make sure you check what time the match kicks off. Often the closer odds matches are found near to kick off, and you can be in trouble if you place the bet at the bookie and the odds shoot up at Betfair, or worse, the match kicks off and is not in play. Try not to bet within half an hour of kick off until you are confident that you really know what you are doing. Matched betting is not difficult, but these are things that you need to be aware of. This video also illustrates nicely (for the second bet) what you will see if your bet is not all matched at Betfair when you submit it. There are 134 Guests online and 90 Members Logged In currently reading JuiceStorm.com. Welcome everyone. Join TradeChat for a chance EVERY month to win a year's subscription to TradeSelect - worth £600!